What makes The Favorite so delicious you ask? How about our never frozen hand slapped dough? Or maybe it’s our delicious pizza sauce? Or could it be our gourmet three-cheese blend? Don’t settle, because then you will be missing out on pepperoni, fresh mushroom, sausage, shredded Parmesan cheese, and Italian seasoning. Didn’t think it could get better? Well it does! Pick your favorite tasty crust. Whether that be Butter, Garlic Butter, Garlic Butter Parmesan, Everything, Sesame Seed, or even our Cajun Butter, whatever you choose, you will love it. The Favorite is just one of many of our gourmet pizzas, but all are so enjoyable. 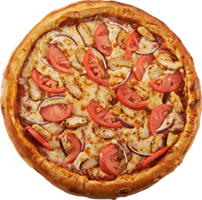 We offer over 30 gourmet pizzas because we care about our customers. Cottage Inn understands that everyone has different taste and we strive to accommodate that. It is important to us to give our customers what they crave. For more information about our menu please visit our website.